Ahmed Ajaj is a Palestinian convicted for his involvement in the 1993 World Trade Center bombing that killed six people and injured more than 1,000 others.Robin Wright and John-Thor Dahlburg, “Legwork, Luck Closed Net Around Bombing Suspect: A mysterious informer’s tip capped an intense search for alleged mastermind of trade center blast,” Los Angeles Times, February 12, 1995, http://articles.latimes.com/1995-02-12/news/mn-31228_1_trade-center-bombing/2; Richard Bernstein, “EXPLOSION AT THE TWIN TOWERS: 4 ARE CONVICTED IN BOMBING AT THE WORLD TRADE CENTER THAT KILLED 6, STUNNED U.S.,” New York Times, March 5, 1994, http://www.nytimes.com/1994/03/05/nyregion/explosion-twin-towers-4-are-convicted-bombing-world-trade-center-that-killed-6.html. Ajaj met Ramzi Yousef, the mastermind of the bombing, at a jihadist training camp on the Afghanistan-Pakistan border.Mark S. Hamm, Terrorism as Crime (New York and London: New York University Press, 2007), 32, https://books.google.com/books?id=VkAdEJZou64C(accessed October 24, 2017). Although Ajaj was arrested for a passport violation upon his return to the United States, he remained in contact with Yousef and continued to help plot the attack from prison.Robert L. Jackson and John J. Goldman, “4 Found Guilty in Plot to Bomb N.Y. Trade Center : Terrorism: Musli extremists are convicted a year after the blast that killed six and injured 1,000. Verdict is met with angry outbursts in Manhattan courtroom,” Los Angeles Times, March 5, 1994, http://articles.latimes.com/1994-03-05/news/mn-30117_1_trade-center; Alison Mitchell, “A SIXTH SUSPECT CHARGED IN BLAST,” New York Times, May 7, 1993, http://www.nytimes.com/1993/05/07/nyregion/a-sixth-suspect-charged-in-blast.html. Ajaj was convicted of ten counts related the bombing in March 1994 and was sentenced to a life in prison without parole two months later.Richard Bernstein, “EXPLOSION AT THE TWIN TOWERS: 4 ARE CONVICTED IN BOMBING AT THE WORLD TRADE CENTER THAT KILLED 6, STUNNED U.S.,” New York Times, March 5, 1994, http://www.nytimes.com/1994/03/05/nyregion/explosion-twin-towers-4-are-convicted-bombing-world-trade-center-that-killed-6.html; Robert L. Jackson, “Islamic Militants Given Life Terms in N.Y. Bombing : Terrorism: Judge says the four ‘violated the laws not only of man, but God’ in killing six at World Trade Center. Group sought to punish U.S. for backing Israel,” Los Angeles Times, May 25, 1994, http://articles.latimes.com/1994-05-25/news/mn-61988_1_world-trade-center. Ajaj was born in Jerusalem and raised on the West Bank. He and his family returned to Jerusalem after their home was torn down to make way for an Israeli settlement.John J. Goldman, “Palestinian Held in World Trade Center Bombing : Suspect: Lawyers say Ahmad Mohammed Ajaj has been wrongfully detained. He was in prison on a passport violation at the time of the blast,” Los Angeles Times, May 6, 1993, http://articles.latimes.com/1993-05-06/news/mn-31904_1_trade-center; Richard Bernstein, “EXPLOSION AT THE TWIN TOWERS: 4 ARE CONVICTED IN BOMBING AT THE WORLD TRADE CENTER THAT KILLED 6, STUNNED U.S.,” New York Times, March 5, 1994, http://www.nytimes.com/1994/03/05/nyregion/explosion-twin-towers-4-are-convicted-bombing-world-trade-center-that-killed-6.html. He was reportedly arrested in October 1987 by Israeli authorities for an undetermined reason and imprisoned until November 1989. He was reportedly deported to Jordan in May 1991John J. Goldman, “Lawyers say Ahmad Mohammad Ajaj has been wrongfully detained. He was in prison on a passport violation at the time of the blast,” Los Angeles Times, May 6, 1993, http://articles.latimes.com/1993-05-06/news/mn-31904_1_trade-center.. Later that year, Ajaj traveled to the United States, claiming political asylum.Richard Bernstein, “EXPLOSION AT THE TWIN TOWERS: 4 ARE CONVICTED IN BOMBING AT THE WORLD TRADE CENTER THAT KILLED 6, STUNNED U.S.,” New York Times, March 5, 1994, http://www.nytimes.com/1994/03/05/nyregion/explosion-twin-towers-4-are-convicted-bombing-world-trade-center-that-killed-6.html. In a 1993 affidavit, he alleged that he went to the United States to seek shelter “from Israeli occupation and torture,” claiming that he had been interrogated and beaten by Israeli authorities on multiple occasions.John J. Goldman, “Lawyers say Ahmad Mohammad Ajaj has been wrongfully detained. He was in prison on a passport violation at the time of the blast,” Los Angeles Times, May 6, 1993, http://articles.latimes.com/1993-05-06/news/mn-31904_1_trade-center; Richard Bernstein, “Questioning Focuses on One Defendant,” New York Times, November 11, 1993, http://www.nytimes.com/1993/11/11/nyregion/questioning-focuses-on-one-defendant.html. In the United States, he stayed with relatives in Houston and worked at a Domino’s Pizza. According to the New York Times, he was a “deeply religious” Muslim.Richard Bernstein, “EXPLOSION AT THE TWIN TOWERS: 4 ARE CONVICTED IN BOMBING AT THE WORLD TRADE CENTER THAT KILLED 6, STUNNED U.S.,” New York Times, March 5, 1994, http://www.nytimes.com/1994/03/05/nyregion/explosion-twin-towers-4-are-convicted-bombing-world-trade-center-that-killed-6.html. In April 1992, Ajaj traveled from New York to Peshawar, Pakistan, under the alias Ibraham Salameh. He went to a jihadist training camp called Camp Khaldan on the Afghanistan-Pakistan border, but was reportedly instructed to travel to Saudi Arabia to obtain a letter of recommendation. He traveled to Saudi Arabia in May and returned to the camp in June with the requisite letter. At the camp, he took a course on bomb construction taught by Ramzi Yousef, who would become the lead plotter of the 1993 World Trade Center bombing.Mark S. Hamm, Terrorism as Crime (New York and London: New York University Press, 2007), 32, https://books.google.com/books?id=VkAdEJZou64C(accessed October 24, 2017). Ajaj returned to the United States on September 1, 1992, on the same flight as Yousef.John J. Goldman, “Lawyers say Ahmad Mohammad Ajaj has been wrongfully detained. He was in prison on a passport violation at the time of the blast,” Los Angeles Times, May 6, 1993, http://articles.latimes.com/1993-05-06/news/mn-31904_1_trade-center; Richard Bernstein, “EXPLOSION AT THE TWIN TOWERS: 4 ARE CONVICTED IN BOMBING AT THE WORLD TRADE CENTER THAT KILLED 6, STUNNED U.S.,” New York Times, March 5, 1994, http://www.nytimes.com/1994/03/05/nyregion/explosion-twin-towers-4-are-convicted-bombing-world-trade-center-that-killed-6.html. Upon his arrival, Ajaj was arrested at New York’s John F. Kennedy airport for trying to enter the country with a forged Swedish passport containing the name Khurram Khan.John J. Goldman, “Lawyers say Ahmad Mohammad Ajaj has been wrongfully detained. He was in prison on a passport violation at the time of the blast,” Los Angeles Times, May 6, 1993, http://articles.latimes.com/1993-05-06/news/mn-31904_1_trade-center; Richard Bernstein, “Questioning Focuses on One Defendant,” New York Times, November 11, 1993, http://www.nytimes.com/1993/11/11/nyregion/questioning-focuses-on-one-defendant.html. He was found to be in possession of four passports with different names, two photo identification cards, and twelve military manuals that included instructions on how to build the type of bomb used in the 1993 World Trade Center bombing.Richard Bernstein, “EXPLOSION AT THE TWIN TOWERS: 4 ARE CONVICTED IN BOMBING AT THE WORLD TRADE CENTER THAT KILLED 6, STUNNED U.S.,” New York Times, March 5, 1994, http://www.nytimes.com/1994/03/05/nyregion/explosion-twin-towers-4-are-convicted-bombing-world-trade-center-that-killed-6.html; Richard Bernstein, “Questioning Focuses on One Defendant,” New York Times, November 11, 1993, http://www.nytimes.com/1993/11/11/nyregion/questioning-focuses-on-one-defendant.html. He was imprisoned at a federal prison in New York after pleading guilty to a passport violation.Alison Mitchell, “A SIXTH SUSPECT CHARGED IN BLAST,” New York Times, May 7, 1993, http://www.nytimes.com/1993/05/07/nyregion/a-sixth-suspect-charged-in-blast.html. On February 26, 1993, while Ajaj was still in prison, a 1,500-pound bomb planted in a truck parked in the basement garage of the World Trade Center’s North Tower exploded, creating a hole of 200 feet by 100 feet. The attack killed six people, injured more than 1,000 others, and caused $500 million in damage. The bomb had been intended to topple both towers.Robin Wright and John-Thor Dahlburg, “Legwork, Luck Closed Net Around Bombing Suspect: A mysterious informer’s tip capped an intense search for alleged mastermind of trade center blast,” Los Angeles Times, February 12, 1995, http://articles.latimes.com/1995-02-12/news/mn-31228_1_trade-center-bombing/2. Ajaj was released from prison on March 1, only to be arrested again eight days later.John J. Goldman, “Lawyers say Ahmad Mohammad Ajaj has been wrongfully detained. He was in prison on a passport violation at the time of the blast,” Los Angeles Times, May 6, 1993, http://articles.latimes.com/1993-05-06/news/mn-31904_1_trade-center. 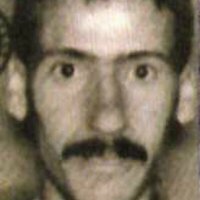 The FBI linked Ajaj to Yousef, already a suspect in the bombing, whose fingerprints were found in two of Ajaj’s bomb-making manuals.Alison Mitchell, “A SIXTH SUSPECT CHARGED IN BLAST,” New York Times, May 7, 1993, http://www.nytimes.com/1993/05/07/nyregion/a-sixth-suspect-charged-in-blast.html; Richard Bernstein, “Hundreds of Fingerprints Introduced in Blast Trial, New York Times, February 3, 1994, http://www.nytimes.com/1994/02/03/nyregion/hundreds-of-fingerprints-introduced-in-blast-trial.html. Further investigation revealed that Ajaj had participated in the plot from prison. While in prison, he remained in contact with Yousef and the others involved in the plot, often placing his calls through an intermediary. Ajaj also reportedly made calls to the apartment where the bomb was assembled during its construction.Robert L. Jackson and John J. Goldman, “4 Found Guilty in Plot to Bomb N.Y. Trade Center : Terrorism: Musli extremists are convicted a year after the blast that killed six and injured 1,000. Verdict is met with angry outbursts in Manhattan courtroom,” Los Angeles Times, March 5, 1994, http://articles.latimes.com/1994-03-05/news/mn-30117_1_trade-center; Mark S. Hamm, Terrorism as Crime (New York and London: New York University Press, 2007), 32, https://books.google.com/books?id=VkAdEJZou64C(accessed October 24, 2017); Foreign Terrorists in America: Five Years After the World Trade Center: Hearing before the Senate Judiciary Committee Subcommittee on Technology, Terrorism, and Government Information, 1998 Leg.., statement of J. Gilmore Childers and Henry J. DePippo. https://fas.org/irp/congress/1998_hr/s980224c.htm. After a court ordered the government to return Ajaj’s belongings, which included the bomb-making manuals, Ajaj arranged for them to be delivered to Yousef.Foreign Terrorists in America: Five Years After the World Trade Center: Hearing before the Senate Judiciary Committee Subcommittee on Technology, Terrorism, and Government Information, 1998 Leg.., statement of J. Gilmore Childers and Henry J. DePippo. https://fas.org/irp/congress/1998_hr/s980224c.htm. On May 6, 1993, Ajaj was charged with conspiring to destroy the World Trade Center.Palestinian Charged in Trade Center Blast,” Los Angeles Times, May 7, 1993, http://articles.latimes.com/1993-05-07/news/mn-32413_1_trade-center. Ajaj went on trial in October 1993 along with three others charged in connection with the bombing, Mohammed A. Salamen, Nihad A. Ayyad, and Mahmud Abouhalima.“1993 World Trade Center Bombing Fast Facts,” CNN, February 21, 2017, http://www.cnn.com/2013/11/05/us/1993-world-trade-center-bombing-fast-facts/index.html. On March 4, 1994, all four defendants were convicted in federal court. Ajaj was convicted of ten counts, which included counts of conspiracy, property destruction, and international travel as part of committing a crime.Richard Bernstein, “EXPLOSION AT THE TWIN TOWERS: 4 ARE CONVICTED IN BOMBING AT THE WORLD TRADE CENTER THAT KILLED 6, STUNNED U.S.,” New York Times, March 5, 1994, http://www.nytimes.com/1994/03/05/nyregion/explosion-twin-towers-4-are-convicted-bombing-world-trade-center-that-killed-6.html. On May 23, Ajaj and the three others were sentenced to 240 years in prison without parole.Robert L. Jackson, “Islamic Militants Given Life Terms in N.Y. Bombing : Terrorism: Judge says the four ‘violated the laws not only of man, but God’ in killing six at World Trade Center. Group sought to punish U.S. for backing Israel,” Los Angeles Times, May 25, 1994, http://articles.latimes.com/1994-05-25/news/mn-61988_1_world-trade-center. While imprisoned in the 1990s, Ajaj was diagnosed with lung cancer and had a lung removed. He spent time in prisons in Texas and New York, participated in a hunger strike, and attempted to file further claims in his defense.Benjamin Weiser, “Trade Center Terrorist Ends Hunger Strike Under Threat,” New York Times, January 30, 1999, http://www.nytimes.com/1999/01/30/nyregion/trade-center-terrorist-ends-hunger-strike-under-threat.html. As of 2011, Ajaj was imprisoned at the Administrative Maximum Facility in Florence, Colorado, the nation’s highest security prison.“DATA & GRAPHICS: Population Of The Communiations Management Units,” NPR, March 3, 2011, http://www.npr.org/2011/03/08/134227726/data-graphics-population-of-the-communications-management-units. Ahmad AjajJoshua Norman, “The 1993 World Trade Center bombers: Where are they now?” CBS News, February 26, 2013, https://www.cbsnews.com/news/the-1993-world-trade-center-bombers-where-are-they-now/. Ahmad M. AjajRichard Bernstein, “EXPLOSION AT THE TWIN TOWERS: 4 ARE CONVICTED IN BOMBING AT THE WORLD TRADE CENTER THAT KILLED 6, STUNNED U.S.,” New York Times, March 5, 1994, http://www.nytimes.com/1994/03/05/nyregion/explosion-twin-towers-4-are-convicted-bombing-world-trade-center-that-killed-6.html. Ahmad Mohammad AjajJohn J. Goldman, “Palestinian Held in World Trade Center Bombing : Suspect: Lawyers say Ahmad Mohammed Ajaj has been wrongfully detained. He was in prison on a passport violation at the time of the blast,” Los Angeles Times, May 6, 1993, http://articles.latimes.com/1993-05-06/news/mn-31904_1_trade-center. Ahmed Mohammad Ajaj“DATA & GRAPHICS: Population Of The Communiations Management Units,” NPR, March 3, 2011, http://www.npr.org/2011/03/08/134227726/data-graphics-population-of-the-communications-management-units. Ibraham SalamehMark S. Hamm, Terrorism as Crime (New York and London: New York University Press, 2007), 32, https://books.google.com/books?id=VkAdEJZou64C(accessed October 24, 2017).